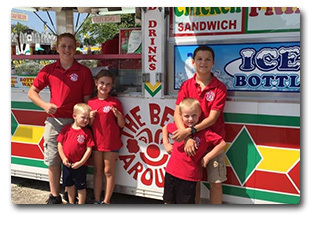 The Best Around food concessions are family owned and operated by the McGrath Family. They started the business in 1978. We have over twenty units available and ready to offer a vareity of products. We designed the units ourselves to meet the strictest health codes and to be the most efficient for fast, quality customer service. We work several large state fairs and have equipped our units for high volume sales. Our equipment is immaculately clean, modern, and well maintained. Our employees are friendly and oriented towards quality customer service. 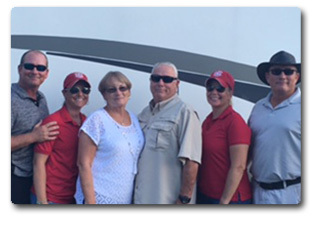 Although we have received many "Best Service & Appearance" Awards, our highest honor is our satisfied customers. We would take great pride in serving patrons at your event.